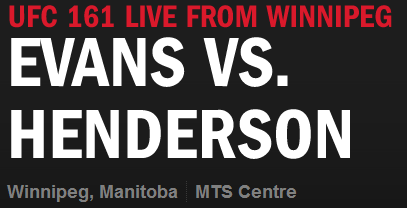 UFC 161 is in the hands of the Manitoba Combative Sports Commission making the event subject to Manitoba’s Boxing Regulation. UFC fans will remember the ban of these elbow strikes are responsible for the only blemish on Jon Jones’ MMA record. So the question is, will this technique be allowed at UFC 161? “We have adopted the ABC Unified rules as a whole however when re removed banned elbow strikes we had not replaced it with the downward elbows foul. We were waiting for S-209 to pass so we could rewrite the Regs to reflect the sports that are now recognized and no longer describe mma as a form of boxing. We anticipate this to be completed this summer. What PED’s Are Out of Bounds for UFC 161?